What CRM means to Government Agencies When you think about Government, you don’t think about sales and marketing, you think about providing services, responding to issues, taking applications and managing cases. One way of doing this is to develop more efficient processes that remove paper from the process. At Arcus they want to make a difference. They want to enable the public sector to use Cloud-computing in the most innovative and cost effective way, to continue to deliver and improve their vital services. Arcus has the expertise, skills and creative talent to continue to meet new challenges, always maximizing the latest technology to its maximum potential. FundView is a fully-integrated suite of true fund-based accounting solutions designed specifically for local governments. With over fifty combined years of local government software experience, their management team has powered the design and development of the powerful, user-friendly solutions they deliver. With FundView there is excellent support and no hidden fees. This system will streamline your processes, simplify your workload and meet the needs of your citizens. KANA can help State Government Agencies to build stronger relationships with constituents, customers, partners and vendors through their desired communication channels – phone, email, chat, mobile, social or the web. 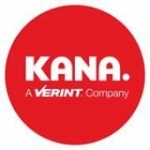 KANA’s Enterprise product lines are designed to integrate with back-office systems, enabling a single view of your customer and automating adherence to policies and processes. Government agencies use CRM tools for many of the same reasons enterprises do: they need to keep track of data and keep customers, or in this case, constituents, happy. Government agencies often choose Software–as–a–Service (SaaS) and cloud–based government CRM solutions because they’re cheaper and easier to employ and interface well with current agency tools.